NASA’S Inspector General announced it is initiating an audit to evaluate NASA’s management of its Space Act Agreements with private companies, including, apparently its agreement with a company associated with Google’s principals to house private jets at NASA Ames’ Moffett Field. United State Senator Charles Grassley called for an investigation into the agreement after NBC Bay Area’s Investigative Unit raised questions about the deal and the use of the private planes in May. Grassley’s office says it believes that NASA’s inspector general will review the deal between NASA and H2-11, a company owned by the principals at Google. Under the agreement that started in 2007, H2-11 pays NASA rent to house more than a half dozen different, privately owned airplanes in hangar N2-11 located at Moffett Field. Under the agreement NASA can use the planes to fly scientific missions for research. But a review of flight logs and records by NBC Bay Area’s Investigative Unit showed that of 1039 flights of planes matching those owned by H2-11 in and out of Moffett Field, only 155 flew any kind of scientific mission. In fact, NASA conceded to its inspector general that 155 flights by H2-11 planes have flown scientific any kind of scientific missions. 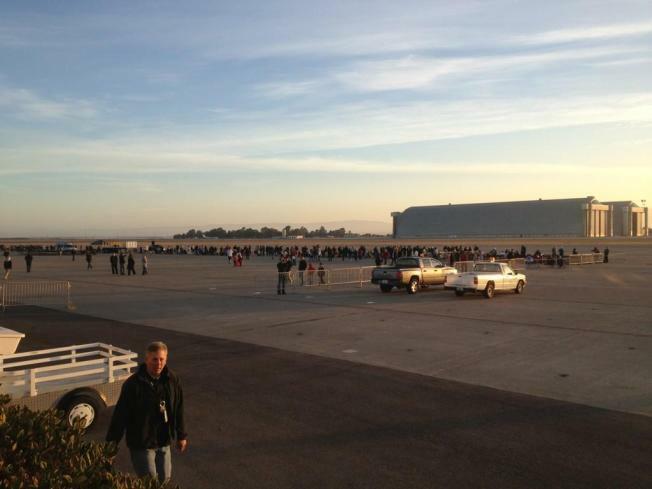 That’s less than 15% of documented flights by H2-11 planes in and out of Moffett Field. Now in a memo to both House members and Senators on Capitol Hill, NASA’s Office of Inspector General says it will examine NASA’s management of its Space Act Agreements. NASA’s process for monitoring export control laws when entering into Agreements with foreign entities. The Inspector General’s probe into United States export control laws at NASA likely follows an investigation by the Justice Department and the FBI into whether national security information was shared by officials at NASA Ames with Chinese dignitaries visiting and working at Moffett Field. No charges were filed in that case and Congressional sources on Capitol Hill say the probe was dropped by the US Justice Department. But Grassley said he has yet to receive any adequate answers from NASA. NBC Bay Area’s investigation analyzed records provided by NASA and flight tracking data logging airplanes taking off and landing at Moffett Field. Of the 1,039 flights of planes whose profiles closely match those of the private planes owned by H2-11 and housed in hangar N2-11, only 155 flights, or less than 15 percent (14.91 percent) were actually flown on any kind of scientific mission. A spokeswoman for NASA said she had not seen the memo from the Inspector General’s office and would not comment until she had. Google’s corporate communication office did not return our request for comment on this latest development.